Let's face it, gardening can be a challenge for Austin and Central Texas dwellers. Hot, dry summers take their toll on your yard and often spring does not allow enough time to establish plants. The solution? Plant in fall! You know, fall. That season that allegedly comes after summer. Late September is probably one of the best times to get plants in the ground, and for trees, fall planting is a must to allow their roots time to establish before the next brutal summer. 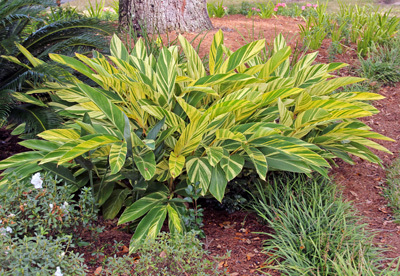 Here are some no fuss, easy care plants that will make your yard the envy of the area! This lovely structural beauty is prickly and large but absolutely gorgeous in its form. Make sure it has good drainage, so if you are in clay soil, add a little granite sand to the mix when planting, and be sure not to plant it lower than the level it was in the pot! Yes you CAN have roses in central Texas. You just need the right varieties. And try something besides boring old knock outs! 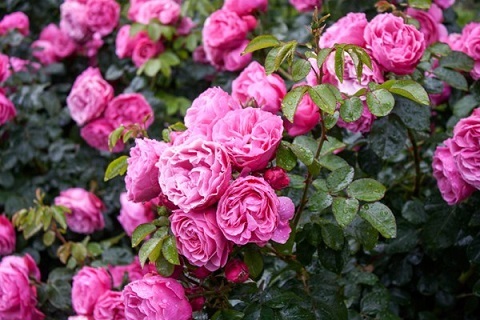 The lovely pink "Belinda's Dream" IS a dream, with easy care and huge lightly fragrant blooms. "Maggie" is a beautiful fuchsia red colored old rose that also is a winner. If you want something to climb up a fence or trellis, try "Eden" or the old reliable "Climbing Cecile Brunner". If you like white roses, try Iceberg or a newer one called "Moondance". There is an entire class of roses called English Roses, known for their fragrance, bred by David Austin. Some reliable varieties there include "Molineux" and "Heritage" and "Darcey Bussell". Roses are like deer candy however, so plant in a protected or fenced area if you aren't in the city away from Bambi and his family. I like the creeping form of this tried and true tough plant the best. 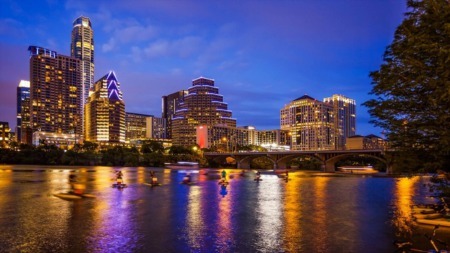 Austin is fairly close to the warm Mediterranean climate it loves, so it usually does quite well. Good drainage is key, so treat it the same as you would others that need good drainage. 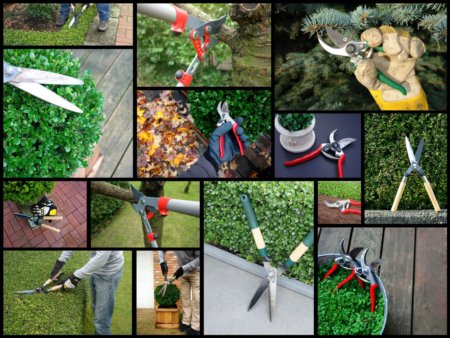 And, it may get a little TOO happy, so keep it in check with regular pruning. 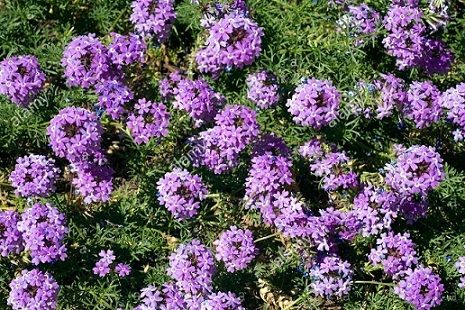 This plant is a lovely bluish grey green and has purple flowers in late spring. It needs little water and the leaves a smell like pink bubble gum when crushed. It makes a fabulous ground cover and is low maintenance. 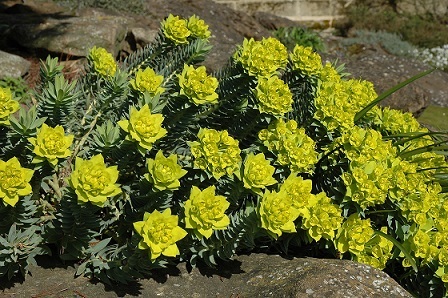 This super tough Euphorbia is deer and drought resistant and the form is very cool. It gets chartreuse blooms on the ends in spring and literally no animal eats it. It also will fill in but isn't invasive. Gopher plant looks great en masse or as little architectural clumps here and there. It grows quite a bit in cooler weather and never needs supplemental water. 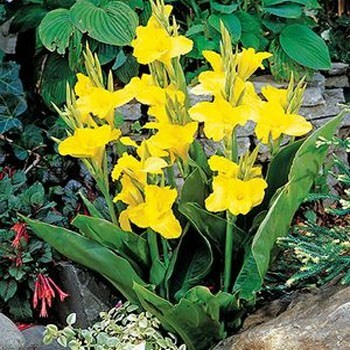 Canna can be assertive if you have good soil, but the spreading is nice since you can give rhizomes to friends. They come in a wide variety of leaf and bloom colors as well as heights. Ask your local nursery for their advice on specific types and areas. Nearly all can handle periods of drought, but if you are in the hill country they will need some compost added, as they won't like super thin and poor soils. This one needs little introduction. 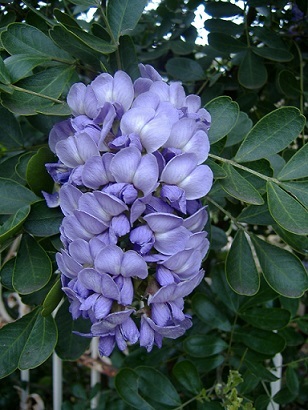 Our lovely central Texas native small tree is the flagship of all plants for this area. Gorgeous cascades of grape bubble gum scented blossoms adorn the tree in early spring. 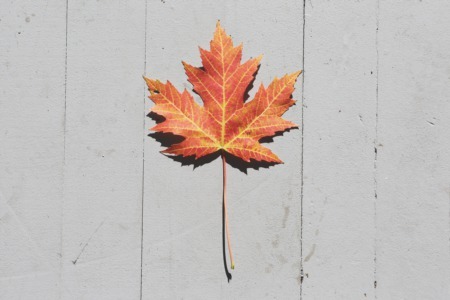 As with all trees and large shrubs, autumn is a great time to establish these. This is the central Texas flagship plant. Truly a winner. This plant is super tough and beautiful as well as structural. 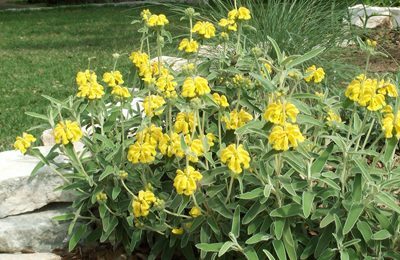 Whorls of yellow flowers with a silvery foliage make it an eye catcher. 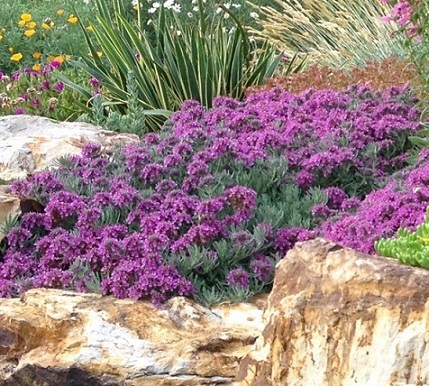 It needs a little water to get going, but afterwards is drought tolerant and long-lived. This is a lovely trailing plant that somewhat resembles purple lantana but is much more delicate. It spreads out and has beautiful flowers and low water needs. The nice thing about it is that it is pretty much trouble free once in the landscape. 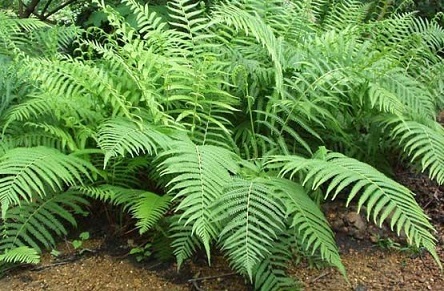 Also called river fern, this Texas native is a lovely source of soft foliage for shaded or heavily to medium dappled areas. 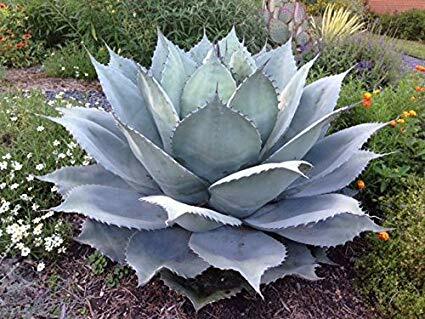 Requires almost no care once established and gets quite tall and full. It can handle periods of drought although it may suffer in the heat of summer with no supplemental water. This ornamental variety of ginger is a little cold tender...It will die to the ground in severe frosts, say under 25 degrees or for a long period, but it will come back in the spring. If it doesn't freeze back it will sport an indescribably beautiful bloom with pink and white and gold. 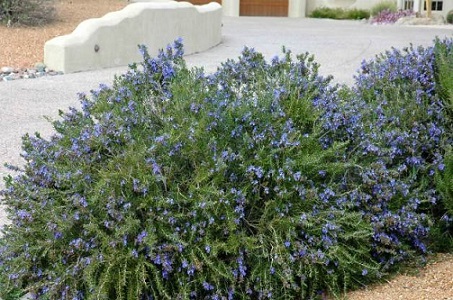 This plant is best suited to shade or early morning sun areas and likes a little extra water to look it's best, though is also drought tolerant when established. It truly will give your yard a lush look. 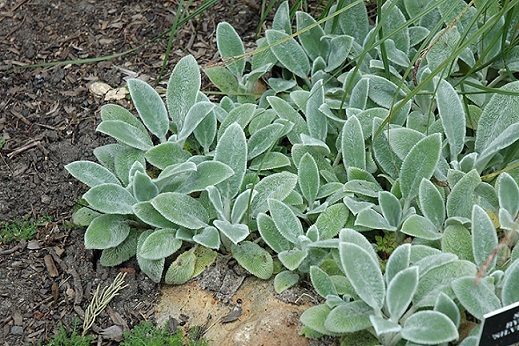 Almost needs no introduction, this beautiful fuzzy small plant is a great filler and spreads and establishes easily. Even a little more special is the larger leaved type. It's usually sold as Big Ear or 'Helen von Stein'. This plant can be assertive but is easy to control and adds architecture. 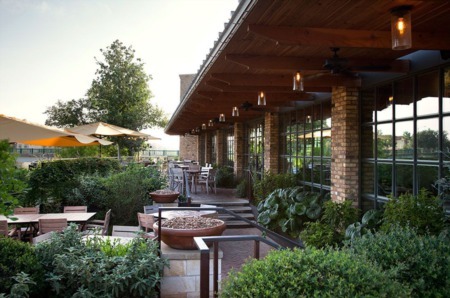 The best thing about autumn is that it gives us the best time in Central Texas to establish trees and large shrubs. It is especially important to get these in the ground with a few good seasons of root growth before they deal with a Texas summer. Be sure to get them from a reputable source and it is often better to pick a SMALLER tree, because it will not have been root pruned in order to be fit into a pot. A 5-15 gallon tree is excellent bang for the buck, and plenty of studies have shown that when you plant a smaller tree next to a larger one, in a few years you don't know easily which was which! Hopefully this advice helps you make your garden more Alluring!